Circular objects are hard to focus..aren't they - something I learned today. I like the details on the stem and how they stick out. Great lighting. 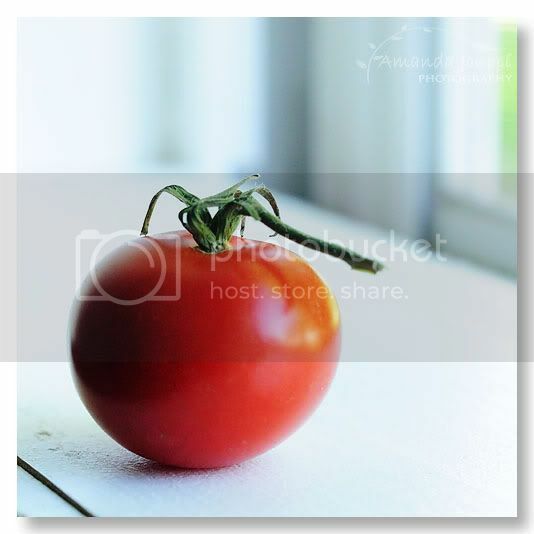 I like the shades from dark to light, it really gives the tomatoe dimension and depth. Nice work! I really like how you did something different with the assignment - most of us cropped our square right around the circle, but you did a different composition. I love it!